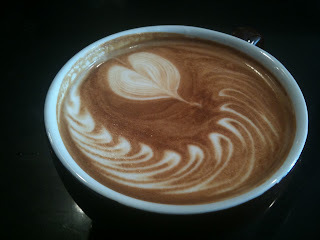 Blue State Coffee Latte Throwdowns: Round #24 winner! Congratulations to the winner of this round...... Joe Smith! Coming in second place at the Providence Coffee Society Barista Jam two weeks ago, Joe takes the gold with this lovely combination pour.